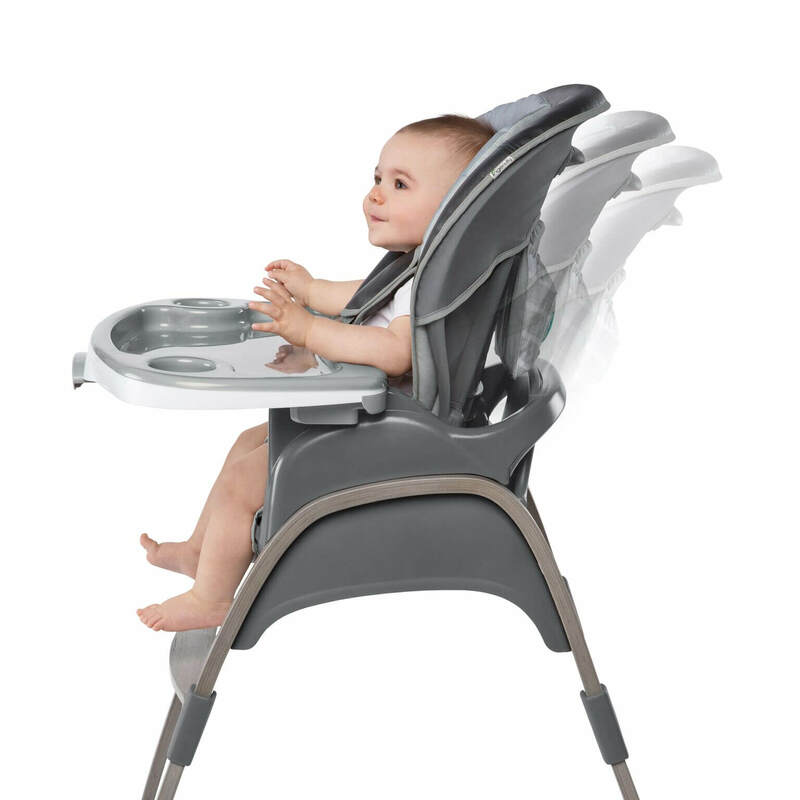 Ingenuity's 3-in-1 Wood High Chair is three chairs in one! 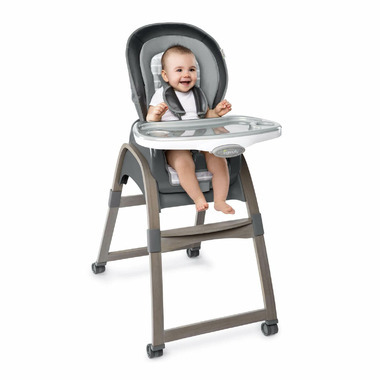 Three modes of use include a full-size high chair, booster seat, and toddler chair. 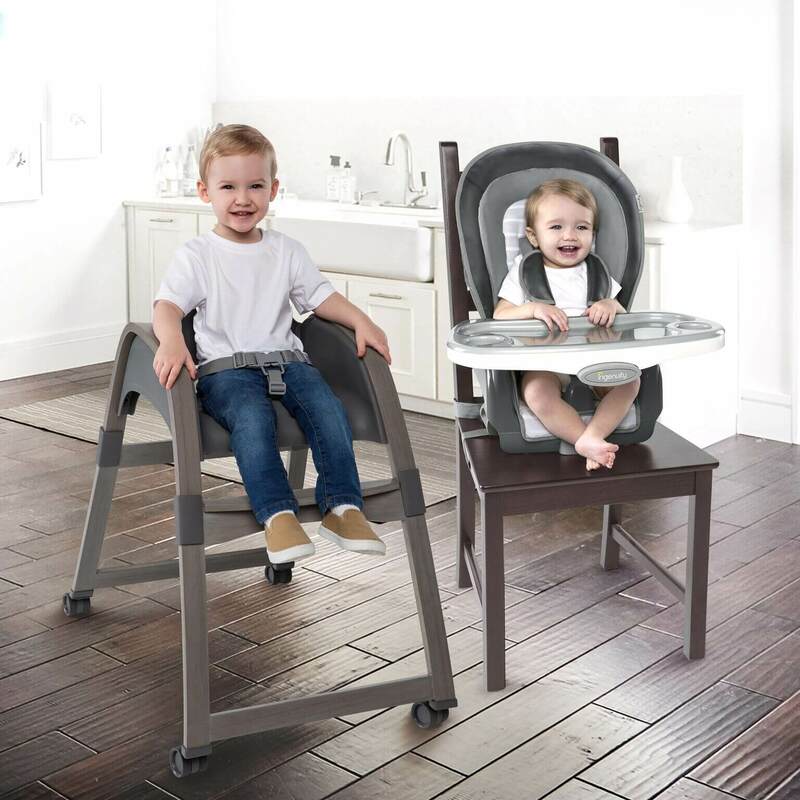 When used as a booster and toddler chair, two children can be seated at the same time. The premium support cushion seat pad adds extra comfort for baby. Adjust the seat to for baby’s comfort with three different recline positions to accommodate a growing baby and toddlers up to 50 pounds. Tray removes with one hand, is dishwasher-safe, has built-in cup holders and features four locking positions to grow with baby. 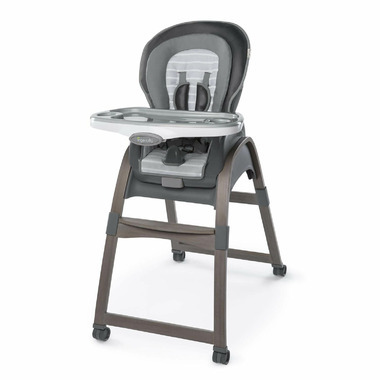 The wood high chair and booster seat include a five-point harness and the toddler chair has a three-point harness to keep baby secure. 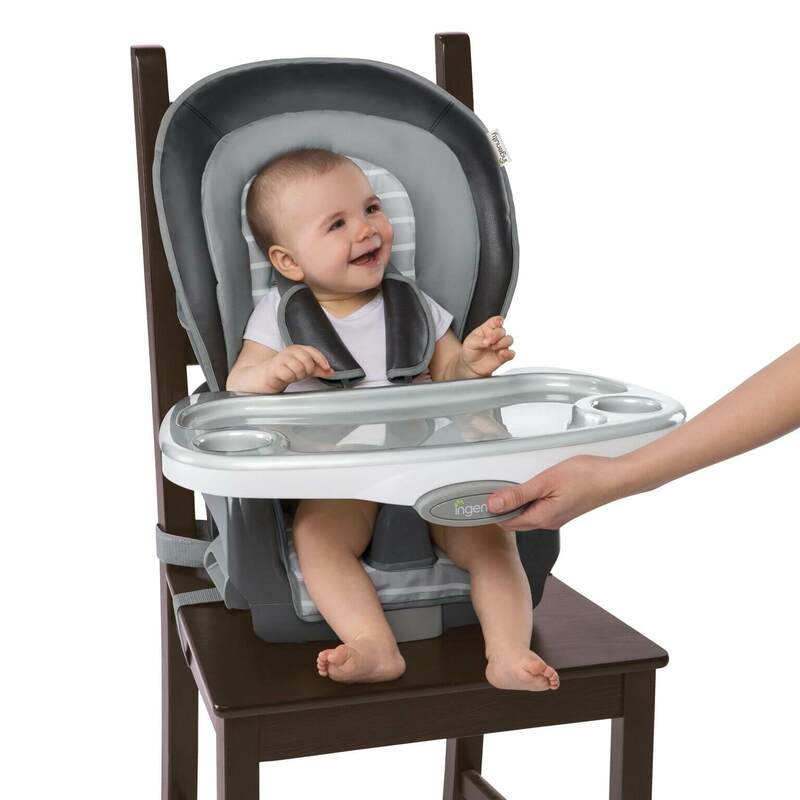 The rolling wheels of this modern highchair allow parents to keep baby in reach and lock into place. Seat pad – Wipe Clean with a soft, clean cloth and mild soap. Tray - Dishwasher safe. Wipe clean with a soft, clean cloth and mild soap. Tray Insert - Dishwasher safe. Wipe clean with a soft, clean cloth and mild soap. Frame – Wipe the wood frame with soft, clean cloth and mild soap. Harness/Straps – Remove from frame. Machine wash with cold water, gentle cycle. No bleach. Air Dry.